Xun “Sunny” Wang was convicted of immigration fraud in 2015. Now some of his clients are at risk of removal from Canada. 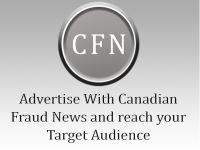 Wang, owner of New Can Consulting in British Columbia, was found guilty of immigration fraud in 2015 for filing fraudulent immigration applications for hundreds of clients, and was sentenced to seven years in prison. Last year, three of his former staff were also convicted of immigration fraud and were sentenced to 18 months in jail. Wang’s services included helping clients apply for citizenship and renew what’s known as a permanent resident, or PR, card, a document required of non-citizen immigrants to enter Canada by commercial vehicle. Wang falsified documents to make his clients appear to have met the residency requirement when they were physically out of the country in order to renew their PR card. “Despite the mountain of evidence of Mr. Wang’s fraudulent activities committed against his clients and Canada Immigration, the respondent (public safety) minister decided to treat the clients of Mr. Wang as no less culpable and has been seeking to remove them from Canada by alleging that they committed misrepresentation,” said the court application represented by the lead claimants, Lin and Zhou. The Immigration Department declined to comment on the class action application or reveal the number of Wang’s former clients whose immigration status is under review, as the matter is before the court. In the court application, Lin claimed he was not aware of any suspicious or fraudulent activities of Wang, nor was he informed of any by the Canada Border Services Agency when he retained Wang to renew his PR card in 2013, a year after officials executed a warrant to search Wang’s office in Richmond, B.C. ccording to the court submission, Lin was refused a travel document to return to Canada by Canadian officials in Beijing in 2014. He filed a successful appeal and obtained a new PR card in June 2016. Last month, however, the border agency told him he was inadmissible to Canada because he misrepresented himself on his PR card renewal, and he was referred to an admissibility hearing. According to the submission, Zhou successfully renewed his PR card in 2010 through Wang’s company but was intercepted by border agents at the Vancouver International Airport a year later because he had failed to meet the minimum two-year residency requirement within a five-year period. Zhou was issued a removal order but successfully appealed the decision, got his PR card renewed and sponsored his wife and child into Canada in 2013. Then last month, he too was informed by the border agency that he’s inadmissible to Canada for misrepresentation. The court application asks that the permanent residents not have to go through the admissibility hearings for misrepresentation. Both Lin and Zhou declined to comment. Their lawyer, Lawrence Wong, said border officials identified about 2,000 of Wang’s clients during his criminal trial and hundreds of them had hired the unlicensed consultant for PR card renewal. The court submission argues that misrepresentation in the PR card renewal does not imply his clients acquired their permanent resident status improperly and has nothing to do with the retention of the permanent status. A PR card serves as proof of permanent resident status, but the status may remain without a valid card, the court application says. “If the applicants made misrepresentation to renew their PR cards, then they should have their cards revoked or renewal applications denied. They should not lose their legally obtained PR status and be given a five-year ban from entering Canada,” the application says.